Forbidden Desert is a board game sequel to the wildly popular cooperative game Forbidden Island. Instead of being stranded in the middle of the sea, the player are now stranded in the middle of the desert with the blazing sun bearing down on them. They must recover the parts to a legendary flying machine by working together and avoiding the perils of the desert to make their escape. Forbidden Desert’s ever-changing board conditions make the search difficult but if the players work together they can succeed. 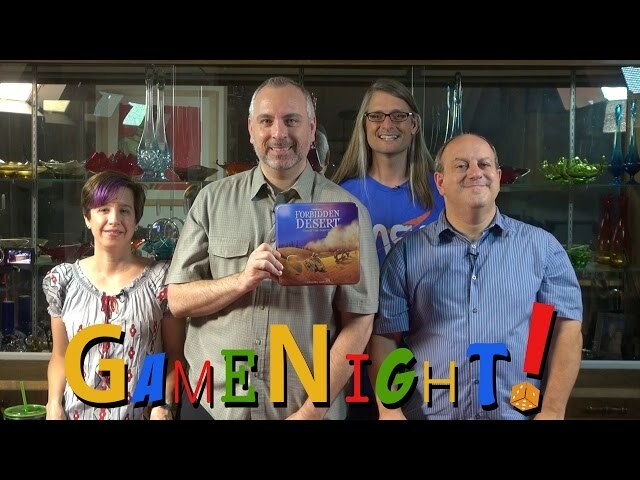 Fans of Forbidden Island who are looking for a new challenge or people who can’t get enough cooperative board games should buy Forbidden Desert.